Our KEG chairman Gail Langton welcomed the all the members. 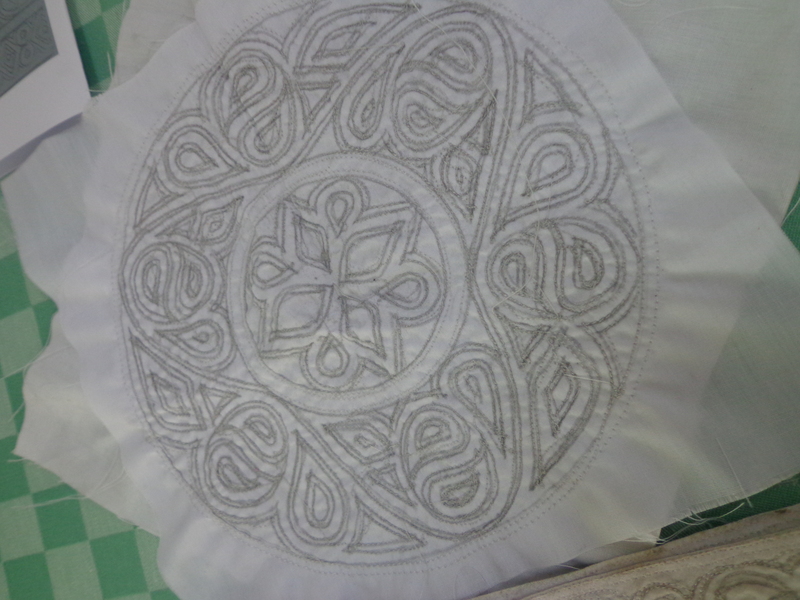 This year looks all exciting at KEG as we are learning variety of stitches along with different variations in them which leads to beautiful embroidery. Members were given special Kenya Embroiderer’s Guild membership cards on which they can receive special discounts from different shops on embroidery materials. The Guild is going to have sequel to ‘The Magical Art of Stitches’ exhibition presented by the KEG /KQG in 18 months time:-) The exhibition will be held at Sarit centre for the first weekend in October 2014. This month KEG workshop was on Zalakdozi. Zalakdozi, essentially means chain stitch. This embroidery carries an international market and is known as one of the finest and expensive works of art. 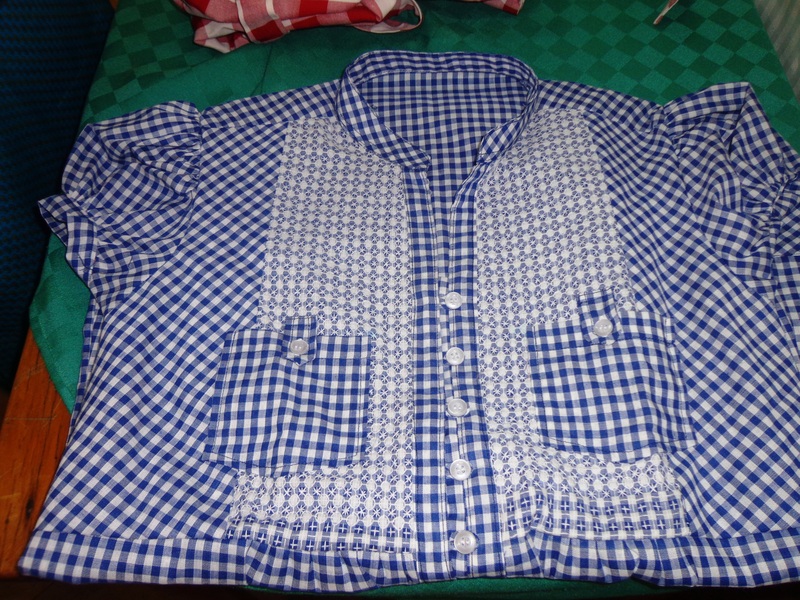 It is an exclusive embroidery that comes from the state of Kashmir in Inida, and thus popularly known as ‘Kashmiri’. 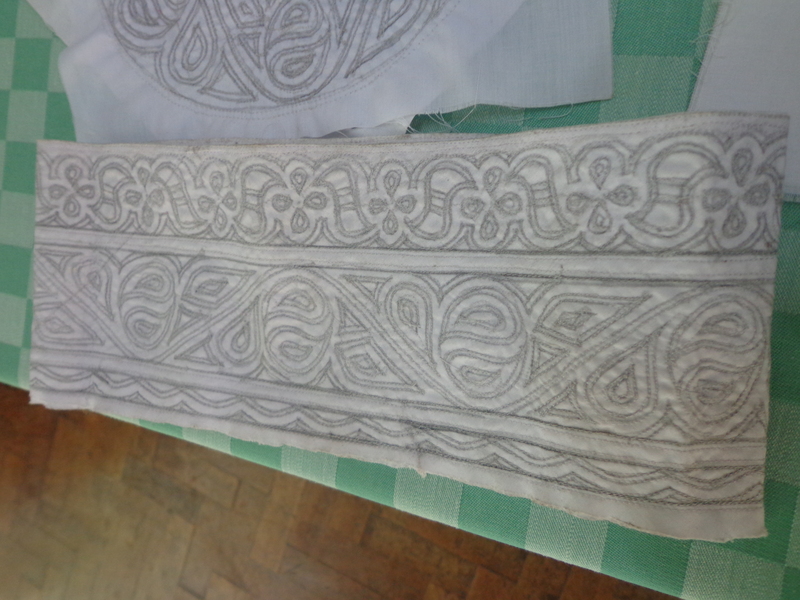 There has been many claims on how this type of hookware embroidery originated. 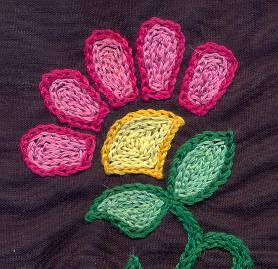 There is a belief that it originated along with crochet ( a french craft), where hooks called the ‘tambour’ hooks were used to create chain stitch. 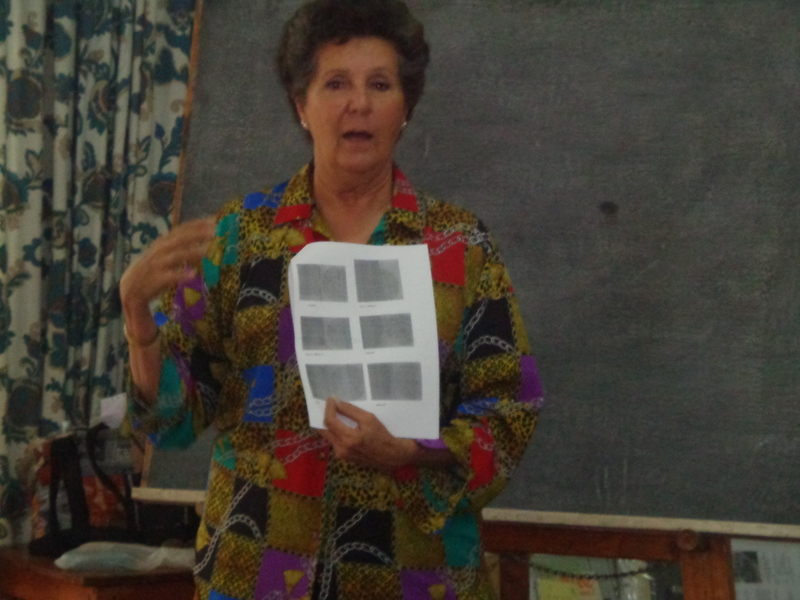 Gail gave us vital information on fabric and counts used in embroidery. What count is, hpi is and how it affects the embroidery. 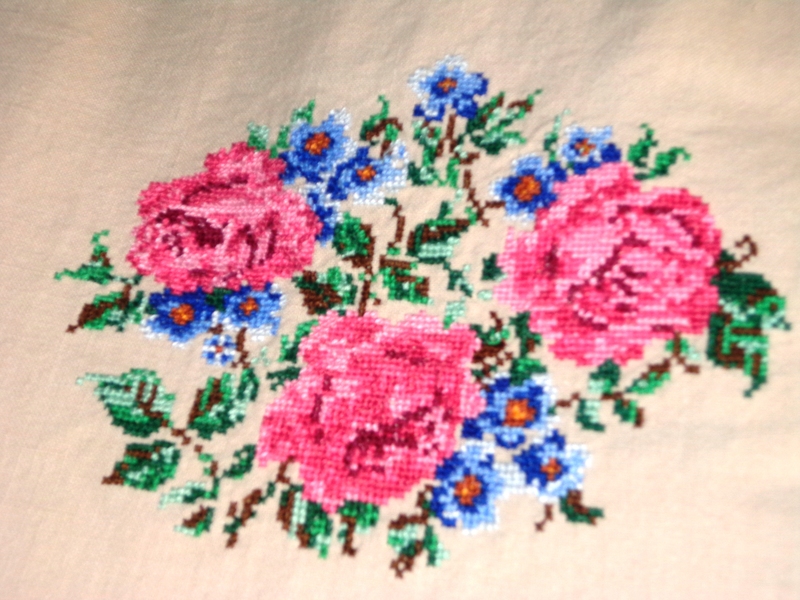 You can view these following articles on blog related to counts and fabric for embroidery. 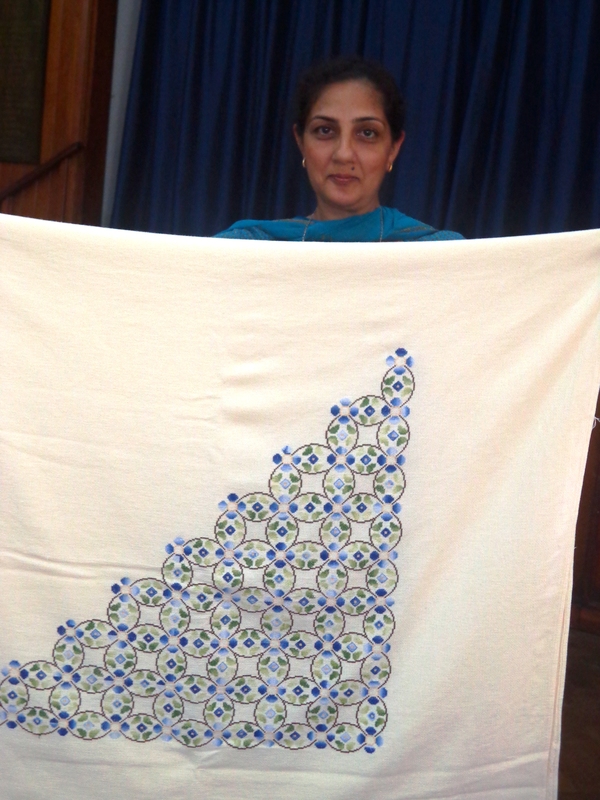 Gail briefed us about the upcoming amazing stitching workshops that will be carried out in the coming months. 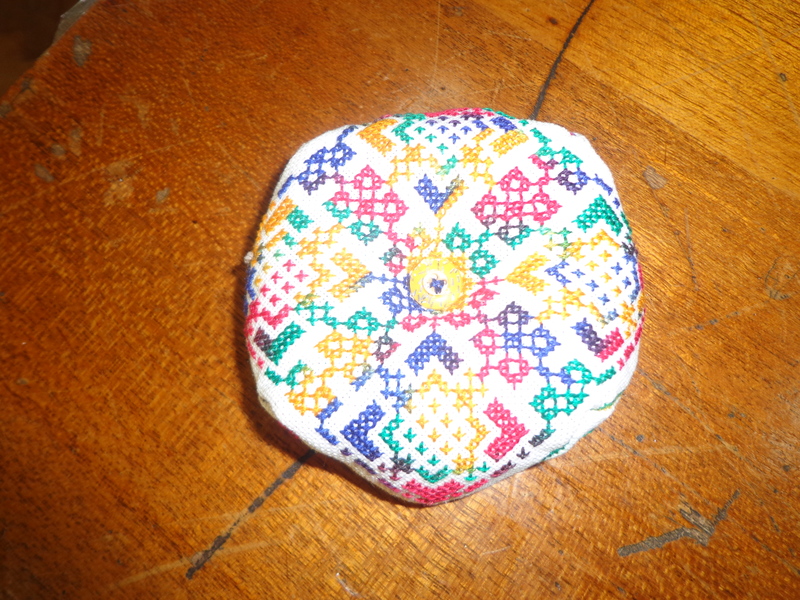 11th July 2013 Dorset feather pocket tissue holder. Dorset feather stitchery, the tissue packet holder we displayed at the exhibition. This is going to take you a step further with your daisy chain and introduces whipped chain stitch. 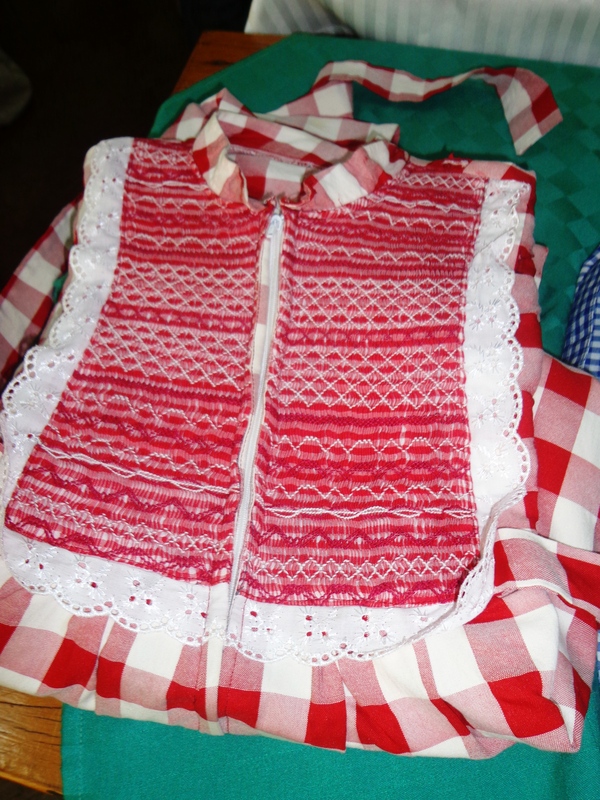 It will also cover button hole stitch and fly stitch – once again fun to do. Following a lot of requests that we have a meeting in August. 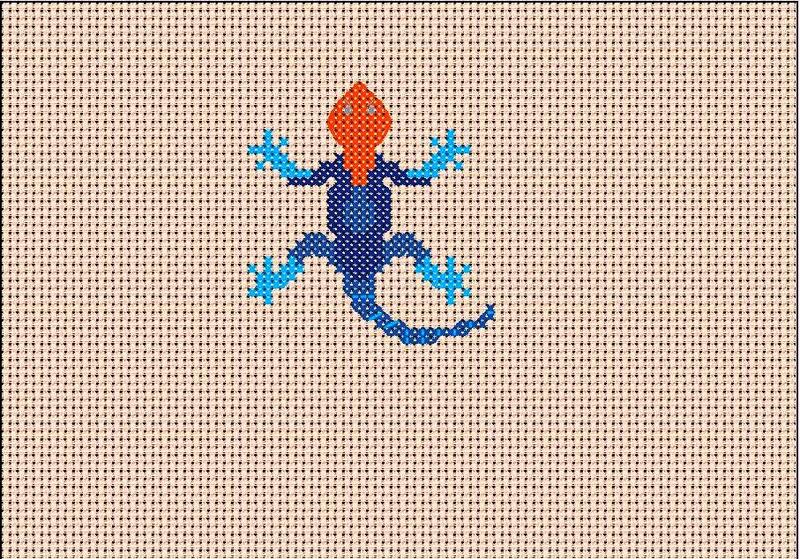 Workshop on lovely Agama lizard, covering cross stitch using the technique of blending. 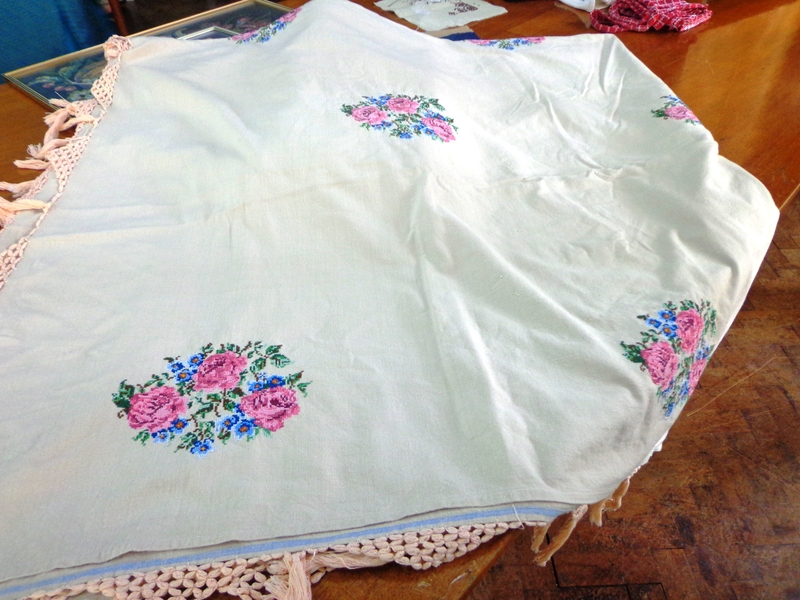 September 2013 will start a two part project – making a tissue box cover which will be decorated with assorted flowers using woven picots. 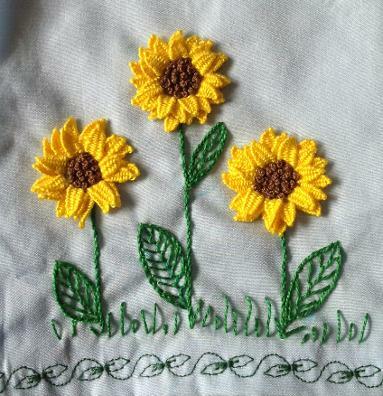 In September we will learn the ‘extra’ stitches needed to form the stalks, leaves, ribbons etc. 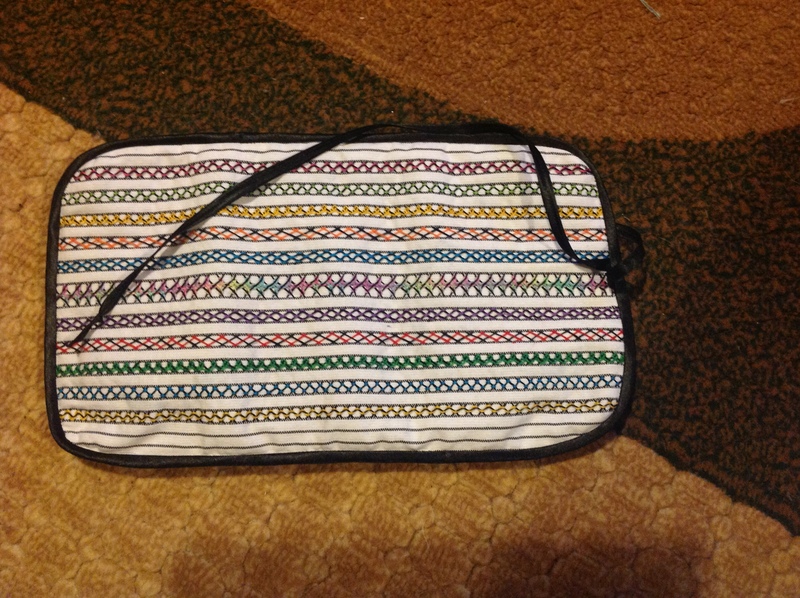 This will cover stem stitch, fly stitch, satin stitch etc. 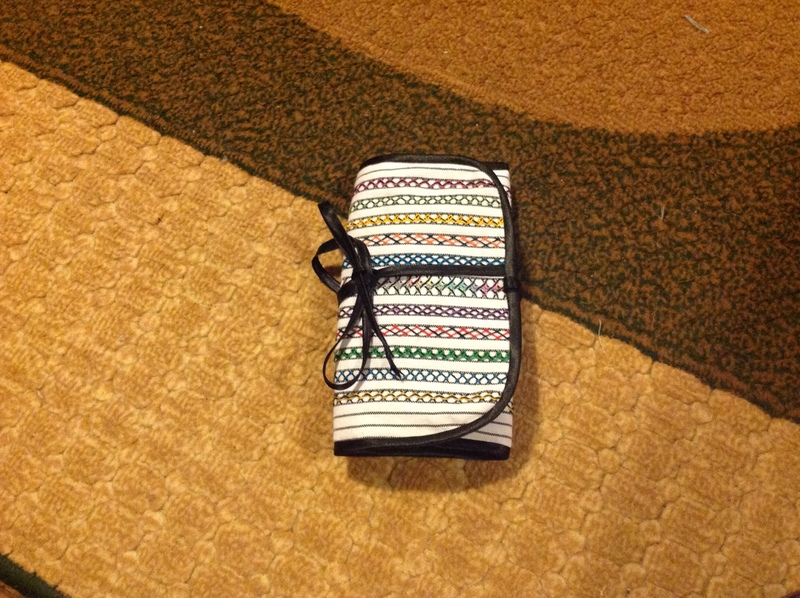 October 2013 will be continuation of the tissue box. This month we will learn the woven picots to place onto the stalks, leaves etc sewn the month before. Members do check our kits box as it is filled with some amazing embroidery kits. These kits can be bought for just Ksh 400 and ksh 500 for non members. 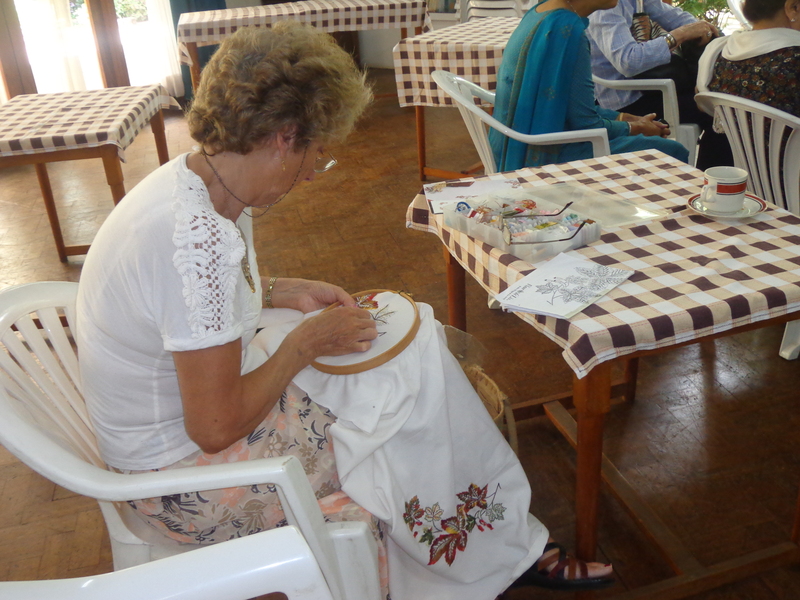 Looking forward to seeing you all at the Kenya Embroiderer’s Guild meeting on 11th July . Firstly may I give my apologies – this is only the third meeting i have missed since the guild started in 2007 and I’m sorry it is the AGM!! I have gone to UK to see my daughter perform in a play at university. I however welcome any new members and hope you enjoy today and continue to support the guild. And on with my chairman’s report. This is our sixth AGM and it continues to amaze me how much we get done in a single year. This year has had its ups and downs. In June we lost one of our most active members when Rowena died so tragically. Rowena was a rock and did the most magnificent job as our newsletter editor. I still miss seeing her at the meetings … She always made sure what we taught was clearly recorded in the newsletters for those who missed the meetings and never failed to amaze me with all the research she did. She was also instrumental in getting our website up and running. On the good side we were lucky enough to have Mary Hickmott come out again in September to teach a series of six master classes. It was supposed to be just five but we had such a difficult time trying to decide which subject not to do we did them all!!! You may well have seen some of the finished pieces in the magical art of stitches exhibition which was held just last month. This exhibition was a joint effort put on with the Kenya quilt guild. It was the first time a combined show has been held and judging from all the great comments we have received it was a huge success. On the embroidery side there were nearly 200 pieces on display and I know many of the visitors were stunned to learn it was all hand sewn!! One gentleman asked me where he could purchase the machine we used to make these pictures!!! We had 20 new members sign up during it, and many more expressed interest. Before the exhibition we upgraded all our kits to a more professional look and over 100 kits were sold during the three days. The exhibition could not have happened without lots of helpers. People helped in many ways- with the organisation, hanging the pieces, selling raffle tickets, assisting the public, answering questions and then when it was all over taking the whole thing down. I won’t name anyone as each and every person who assisted was a star and it would not have happened without you!! 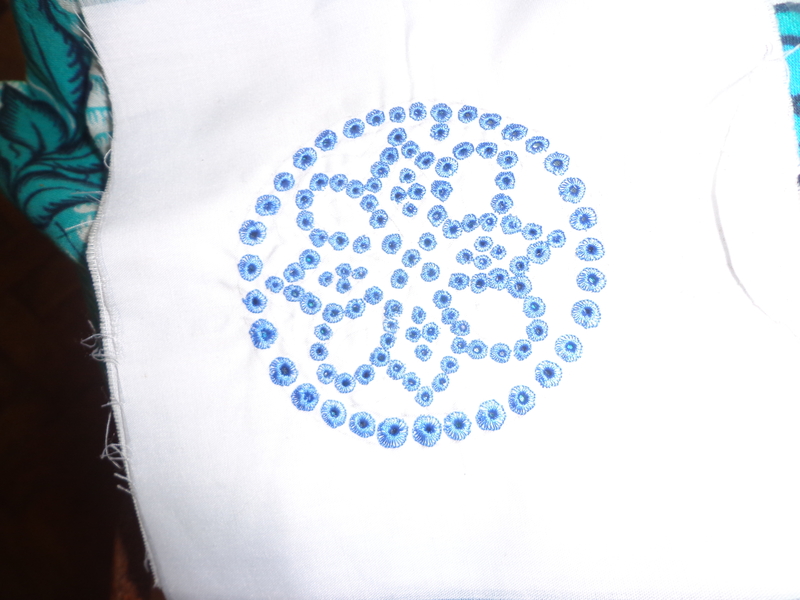 During the course of the year we continued to hold our monthly meetings teaching new and exciting techniques and this year we covered Sashiko, Needle weaving, beading, smocking, Catherine De Medici cross stitch on even weave and Lamu hat embroidery. The yearend project was a Christmas wreath which involved a lot of tearing up of fabric – such fun! We have recently changed the format of the meeting to allow for stitching time and we are hoping that this meets with the members approval. And just before I finish I would like to thank my committee for all the help and support they have given me, especially today, and for all the hard work they do which leaves me more stitching time. 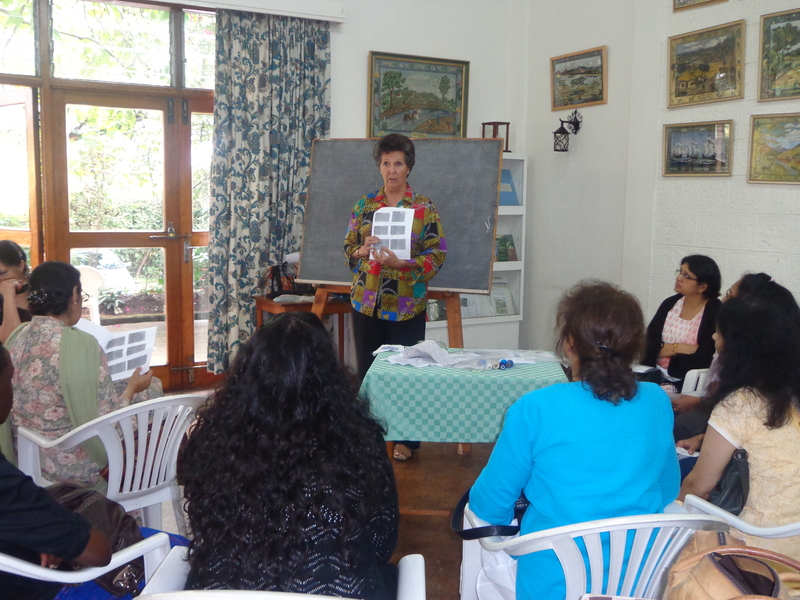 Kenya embroiderer’s Guild held its 6th Annual General Meeting on the 9th of May 2013. At the AGM Chairman’s Gail Langton annual report was read and the financial report was presented. 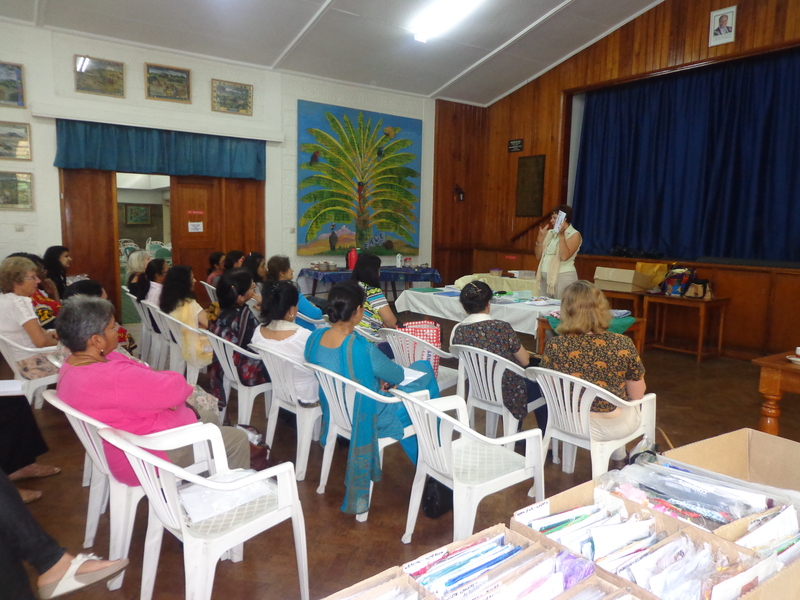 Gail, KEG chairperson addressed members about the upcoming Kenya Embroiderers’ Guild Exhibition and the workshops that will be held at the guild in the coming months. Gail wants members to do some actual stitching at the monthly meetings. So from this meeting on-wards we will start together stitching the ‘Kit of the month’ or if you are not interested in that particular kit then bring some of our own projects to work on. This way, people are around to help us get started if necessary. Donna Pido demonstrated the embroidery technique used to make Lamu hats. Lamu is Kenya’s oldest living town and it has retained all the charm and character over the centuries. The majority of the population is Muslim. These men wear these traditional embroidered caps. We had kits available to do hands on work shop with Donna as she taught us. A membership subscription is due for the year. Hope most of you have done the membership renewal.